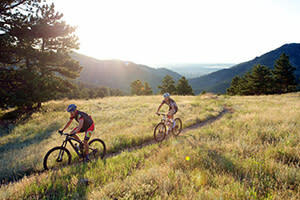 If you ride a bicycle more than casually, you probably already know about Boulder, Colo. Its altitude, endless hills and nearly perpetual sunshine make it a big draw for the pedal-powered and regularly ensure it a top spot on lists of America&apos;s most bike-friendly cities. But unless you live in Boulder you probably don&apos;t know about the ultimate day ride out of town. It&apos;s a ride that morphs from calm, easy pedaling to quadricep-busting difficulty, proceeds upward through spectacular scenery and rewards you at the top with a dusty hamlet called Ward whose citizens hope you turn around and head home A.S.A.P. When I lived in Boulder, I usually made the trip once a year.